Well, you know when you move to a new home how you have to have a few new things, (especially when you have been married almost twenty years…S*&% gets old! )… new hooks for closets, new silverware organizer… New Le Creusets for your kitchen. Not with children to feed! What decadence! to shell out $350 on a cobalt blue Le Creuset or Staub for that matter so when I saw these little babies at Aldi this fall and I had 6 bushel of apples ready to turn into applesauce… on a whim, after wondering about their quality for the last couple years, I threw them into my cart. I don’t know how I made it without these things! (Which is always how I feel when I get something new for my kitchen). For $29.99 a piece they are worth their weight in gold (about 12 pounds each). FYI – a 5.5 quart Le Creuset will run you $265-355.00 dollars. well worth every centime I am sure. each a different size and heavenly purpose. 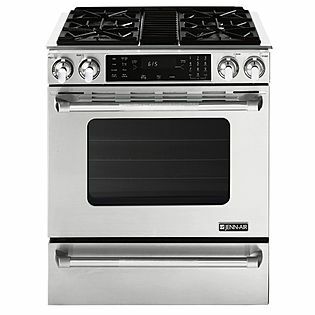 But you know what, you will never hear me disparage that price – I do believe in quality kitchen gear… for the professional (not me) it is a necessity. That’s why they make $20,000 ranges for crying out loud… and aren’t they GORGEOUS!!! and as silly as it sounds, when we bought our range eight years ago I actually became a better cook. and a few months ago at my friends resale shop I found the matching salt and pepper shakers. My friend Françoise once served us ratatouille in the little minis (with chevre baked on the top) and since then I have wanted those little, ridiculous cuties! Let’s be real – who wouldn’t take a whole shelf or two full! Too bad the Aldi line isn’t bigger!!! I believe the ones I have are a six quart and one is a five quart. They were a DREAM for stewing my apples for applesauce and they bail me out every day – seems like I am always in a hurry to feed some starving child and having never cooked with anything like this before, I am constantly amazed at how FAST they boil water, thaw a chunk of frozen, homemade pasta sauce, etc. And of course, they are oven safe… I believe up to 375 degrees. 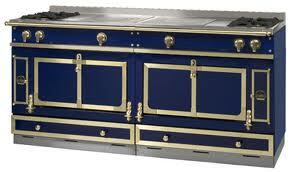 Even though I am not in my old beautiful blue and white kitchen— I chose cobalt blue. ( I will show you my new kitchen in it’s entirety soon — it still has my favorite touches of blue). If you find these at Aldi you will be able to choose between blue and red. They also carried a skillet and cast iron frying pan. WISH I would have bought them and two more of these to boot! These are no longer at Aldi, and I, being a true Farmgirl now (whoot-whoot!) don’t live 30 seconds from one anymore so… if you see these at your Aldi be sure to get yourself a couple – unless you’ve got to have the real thing of course! I can’t say that I blame you! 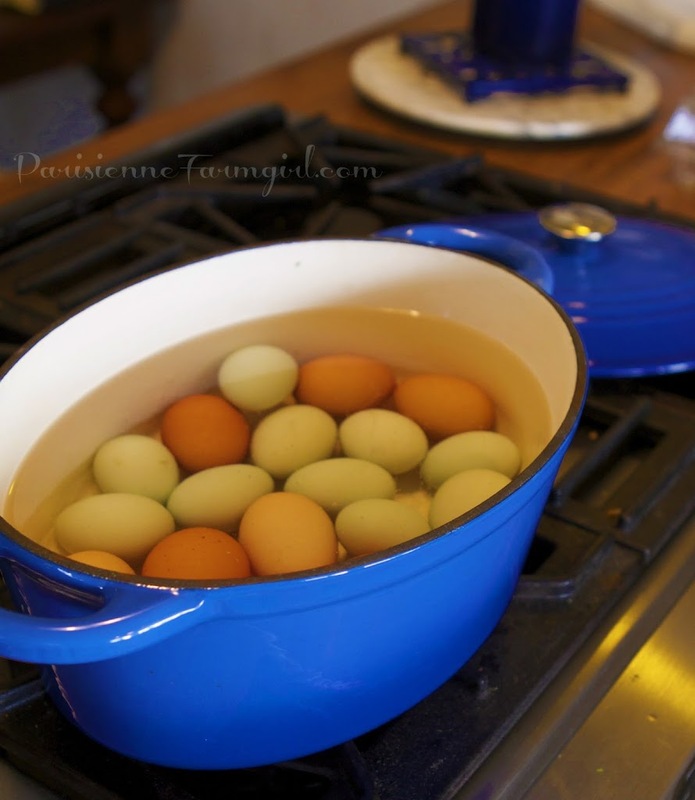 I love my Faux Creusets – as I call them. are you in love with lately??? i have an oval real deal bought from costco years ago for like $70. LOVE it! Then i spotted some enamel coated cast iron at Macy’s by Martha Stewart in a beautiful tiffany blue…and bought two of ’em. They are not made as well as the Le Creuset, but who cares? They suit my needs very well, and for that i am grateful. I adore enameled cast iron. That’s a great price! I keep mine out on the stove at all times because I use it daily. I too purchased them this year after hem hauling around looking at them for the last 2-3 years, I decided if they ever come back I was gonna get them. I love them also. I got the fry pan, griddle, and roud dutch oven and I think it weighs right at 13 lbs. I weighed it also, I was so impressed. I scored big oe day while shopping, wet in and they had a few left and they were marked to only 15 bucks each so I scooped some up for my son ad treated myself to another one. They are fabulous. I love Aldis and shop there bi-weekly, saves us a ton of money. Love love love your writing, just discovered you this year and when I have a free minute or two I always go to your blog and read older post. I enjoy your creativity,wit and honesty so much. Thanks for sharing with us. You are a very special kind of person. You have a grand personality, you could be on tv. 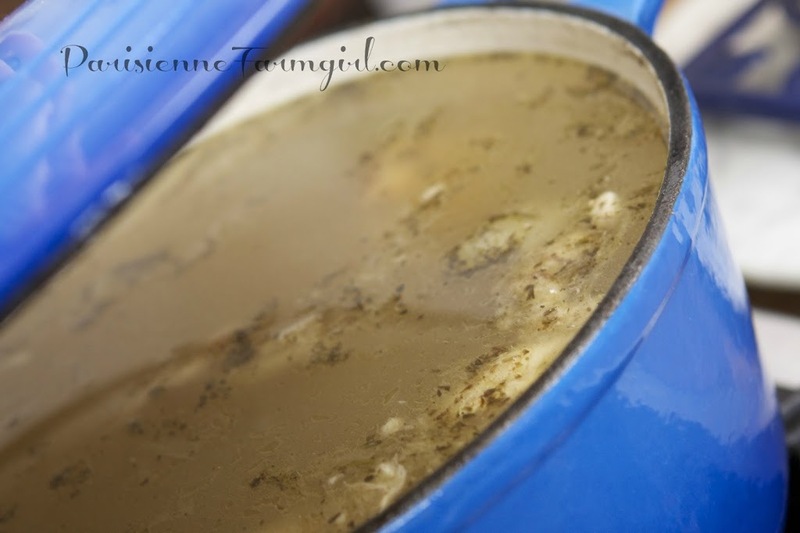 i use exclusively griswold vintage cast iron pans and dutch oven…they aren’t as pretty but i couldn’t imagine cooking wihtout them! 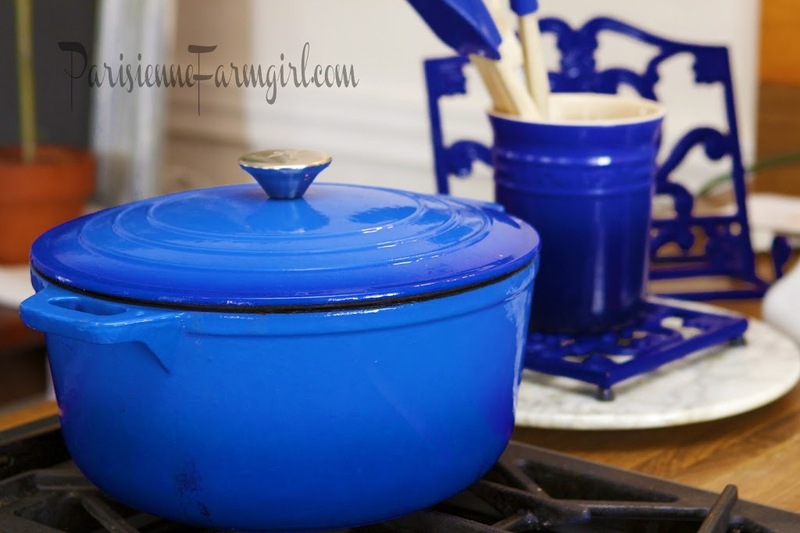 I, too, have a faux Le Creuset dutch oven that I purchased a couple of years ago at Meijer. I had looked at the real thing but then spotted the ones at Meijer. I could not tell the difference by looking. 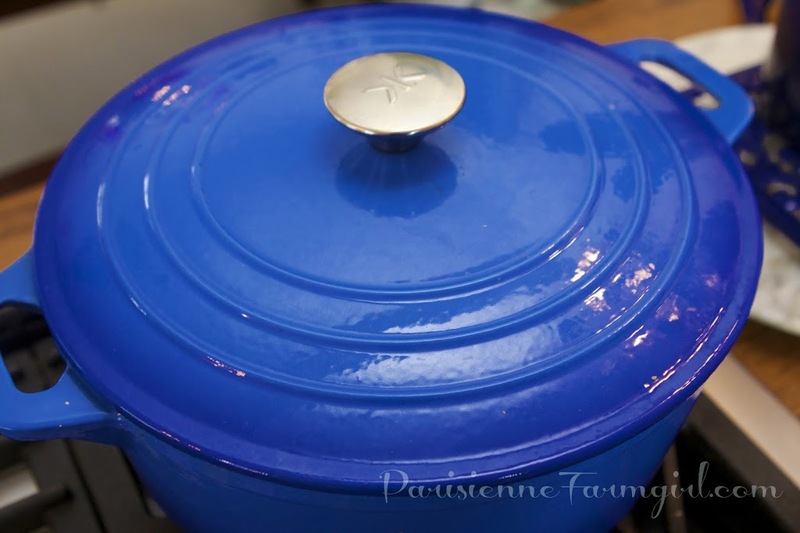 So I bought the faux dutch oven and LOVE it! I’m so glad I saved some money. Oh, and mine is fire-engine red. My Aldi’s is a small one, I do hope they get some though? Thanks for the heads up! Can’t wait to see your new kitchen! I don’t exactly own the real deal Le Creuset but I did find a Cousances (vintage brand that later was purchased by Le Creuset and began the current line. )I purchased the grilling skillet from Aldi a few years ago and love it. If your Aldi (or similar store) doesn’t have the enamel cast iron right now, you can find some deals on the vintage Cousances on Ebay! Thanks for your blog!! I don’t live anywhere near an Aldi, like 1/2 the USA away, so I don’t know the brand they sell. Cook’s Country, a TV show and a no-ad monthly recipe magazine, does comparrisons like Consumer’s Report. They did one on cast iron dutch ovens. Le Creuset came out #1, but #2 was Lodge. A brand that has been around for years. I picked up a red one from Fred Meyer for $29.99 and I love it. 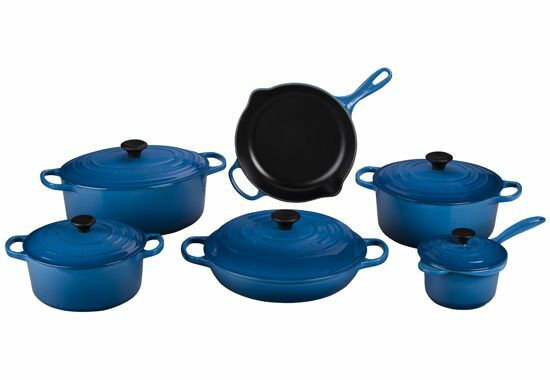 The only bad thing is they have lots of cast iron pots and pans and what nots, but I can’t find any thing else, but the dutch ovens, in the enamaled colors they are just black like we grew up with and the cowboys had and…… I’ve actually seen them at WalMart and I know everyone has a WalMart by them. The kitchen store I work at, the boss carries Le Creuset and Staub… he actually has great prices and with my discount, well… I could buy something. My husband is remodeling our kitchen and maybe, just maybe, I might treat myself to an awesome lidded casserole/roast/soup pot. I have purchased a Cuisinart (not sure how to spell) because I too, could not afford the Le Creuset . Mine is cobalt blue and cost $29.99 as well. I also, leave mine out and use it every second day. Because I live on my own, I often throw my meat in and root veggies and cook in the oven. Walk away and let it cook for an hour. The meat is so tender and juicy. Love it so much I purchased one for my parents for Christmas, throwing in a sirloin beef roast and turkey breast. I wish I’d gotten some of these at Aldi when ours had them. I bought the roasting pan a year or so ago and absolutely love it. It cleans up so easily! We have a local home décor store that is brimming with kitchen gadgets and there are three shelves full of Le Creuset. Talk about tempting! I have to make myself walk away. I just love the dutch oven,braiser and fry pan that I purchased at Aldi’s. I have had the dutch oven for a year now and am very happy with it. For those of you that are looking to buy one of these from Aldi’s, they usually have them for sale around Thanksgiving through Christmas, which was when I purchased the braiser and fry pan. Aldi’s is a season oriented store and that is probably why they have them for sale at this time of year when they know people are going to be doing a lot of cooking. These seem to run seasonally at my Aldi. I finally broke down and bought one the last time they had them. LOVE! I’ve been a cast iron user for ever – and although I still madly love my cast iron – I like my Aldi pot even more. I will be picking up more the next time they carry them.